Two industry giants discuss one of the founders of the craft. 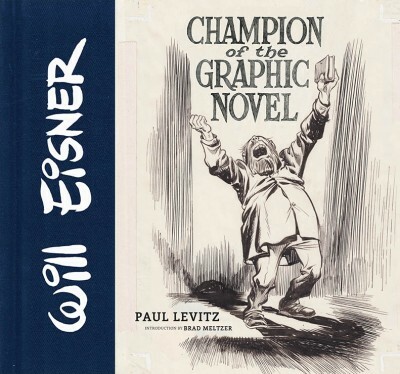 Paul Levitz’s Will Eisner: Champion of the Graphic Novel is now out and I know it’s been a labor of love for the former DC chief and decades-long comics writer and fan. He and Pulitzer winner Jules Feiffer will be talking about Eisner’s legacy 11/11 in New York City. There are few better ways to spend a Wednesday night, let me tell you. The discussion will be at the SVA Theatre, 333 W. 23rd St., Manhattan. Tix are $20 apiece ($5 for SVA students). Proceeds will benefit School of Visual Arts student scholarships in sequential art.